Before the Horde was fully formed, the Kingdom of Erun stood tall. The Elves were considered the strongest threat to prevent any invasions from the Horde. However, that all changed and the Horde was somehow able to overtake the kingdom from within. 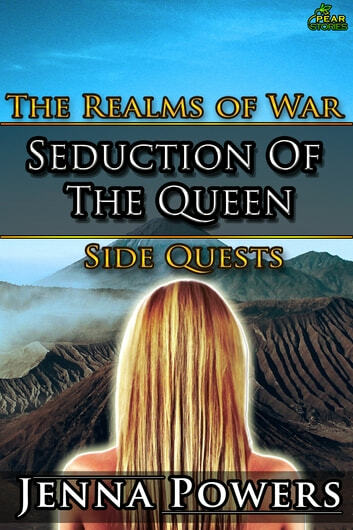 This Realms of War Side Quest exclusive looks into the seduction of the Queen Arwen of Erun. The Elves of Erun are edgy as rumors of Trolls and Orcs crossing their lands spreads. King Amdor must spend most of his days and nights attending to his people's concerns, leaving Queen Arwen alone in the Royal Quarters. As Queen Arwen stands on her balcony and looks over the lands she helps rule, drops of some sort of liquid fall upon her head. She heads up to investigate, thinking it's her daughter, Princess Meriel, playing pranks to try and cheer her up. What she finds is not something she expected, two Goblins with a strange clear potion that they splash on her. The strange potion causes Arwen's body to react in strange ways. She blames the warmth growing within her body as being due to the lack of King Amdor's affections for the past several months. As the Goblins sense her growing excited, they cackle and decide that they have a chance at seducing the Queen of Erun. 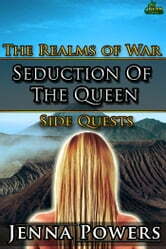 Does their plan succeed or does the seduction of the Queen fail? The Realms of War core series (Part I through XI) are not required before reading the Side Quest series, though suggested. The Side Quests are enjoyable stand alone stories that can also help fill in gaps for core series readers.